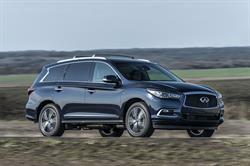 NASHVILLE, TN--(Marketwired - May 27, 2016) - The Infiniti QX60 was named 2016 Best in Class Luxury SUV/Crossover for the $40,000-$60,000 category by the New England Motor Press Association (NEMPA). Infiniti will receive the award during the Annual Awards Dinner May 26, on the eve of the NEMPA MIT Technology Conference at the MIT Media Lab in Cambridge, Massachusetts. Vehicles selected by NEMPA as "Best for Winter Driving in New England" are those that offer a combination of winter-specific features and options plus the dynamic qualities that make for safe, enjoyable and competent all-weather driving. 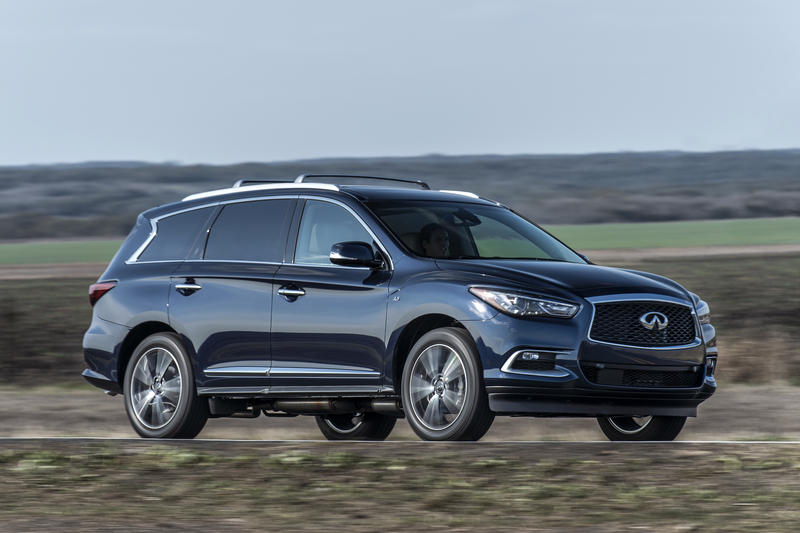 "To take an award in this incredibly competitive class, the Infiniti QX60 offered New England drivers the strongest possible combination of design, capability, technology, function and price," said NEMPA president and editor at BestRide.com, Craig Fitzgerald. "With seating for seven, Intelligent All-Wheel Drive, an IIHS Top Safety Pick+ rating (with optional front crash protection) and a price starting at $44,400 for the AWD trim, the QX60 is exactly what New England drivers need to compete with winter." The popular Infiniti QX60 continues to stand out in the premium crossover segment, excelling in the areas that luxury crossover buyers desire most -- interior versatility, roominess, available safety, and optional advanced hospitality features. Available in both front-wheel drive and with Intelligent All-Wheel Drive, the QX60 features a standard 3.5-liter DOHC V6, which produces 265 horsepower at 6,400 rpm and 248 lb-ft of torque at 4,400 rpm. For additional information on the QX60, the awards and recognition it's received, or additional information on Infiniti's full line of premium sport sedans, luxury crossovers and SUVs, visit InfinitiUSA.com. The New England Motor Press Association was founded in 1987 to coordinate professional media coverage of the auto industry in Connecticut, Maine, Massachusetts, New Hampshire, Rhode Island and Vermont, whose 14.5 million citizens have unique demographics and automotive preferences. NEMPA's media members appear on network and cable TV, on the Internet and radio, and in regional and national newspapers and magazines. For more information, please visit: nempa.org.